In this groundbreaking personal development book, influential teacher and physician Deepak Chopra, explores how our hearts have lost their centre and why love so often falls short of filling a deep, aching need within us. He also explains how we can find the love we long for, one which is rich and meaningful, satisfying and lasting - by restoring to love its missing element: spirituality. 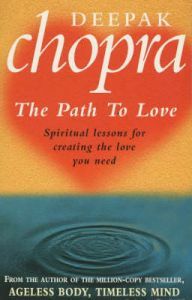 In presenting the long-forgotten, timeless laws of love, together with practical suggestions for bringing them into our lives, Deepak Chopra shows us how to transform our lives forever - and the lives of those whom we love.